Find the perfect adventure! Select your preferred level, party size, environment, undead, monsters, traps, puzzles, riddles, and more. Or, check out Tales from the Tabletop™ #56 here! Or, check out Tales from the Tabletop™ #50 here! 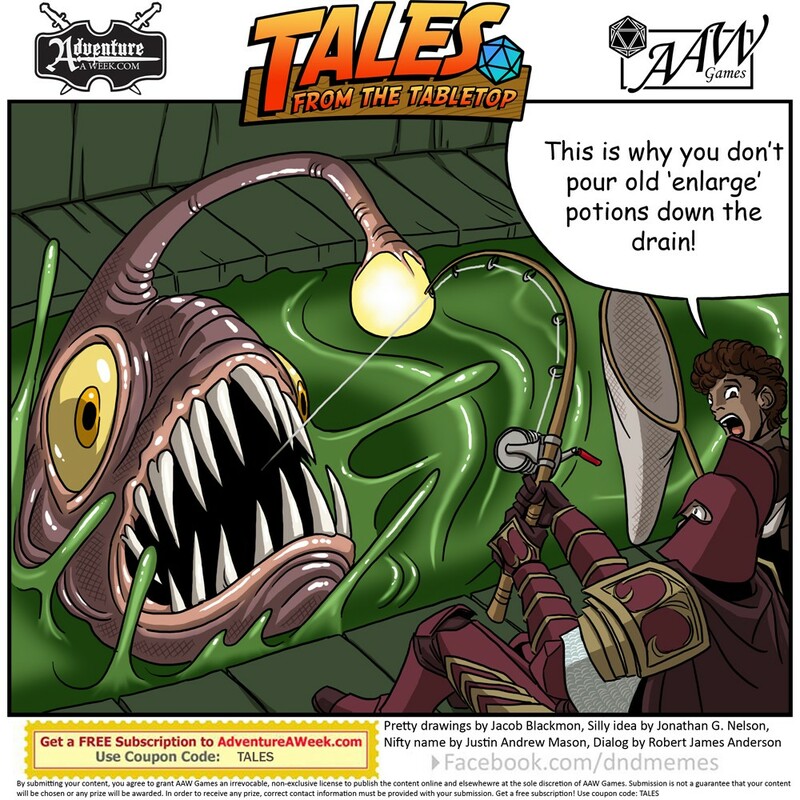 Or, check out Tales from the Tabletop™ #49 here! I suppose that’s up to interpretation! Since it was a caption contest the winner was chosen based on popular vote. Or, check out Tales from the Tabletop™ #47 here! Or, check out Tales from the Tabletop™ #46 here! Or, check out Tales from the Tabletop™ #45 here! 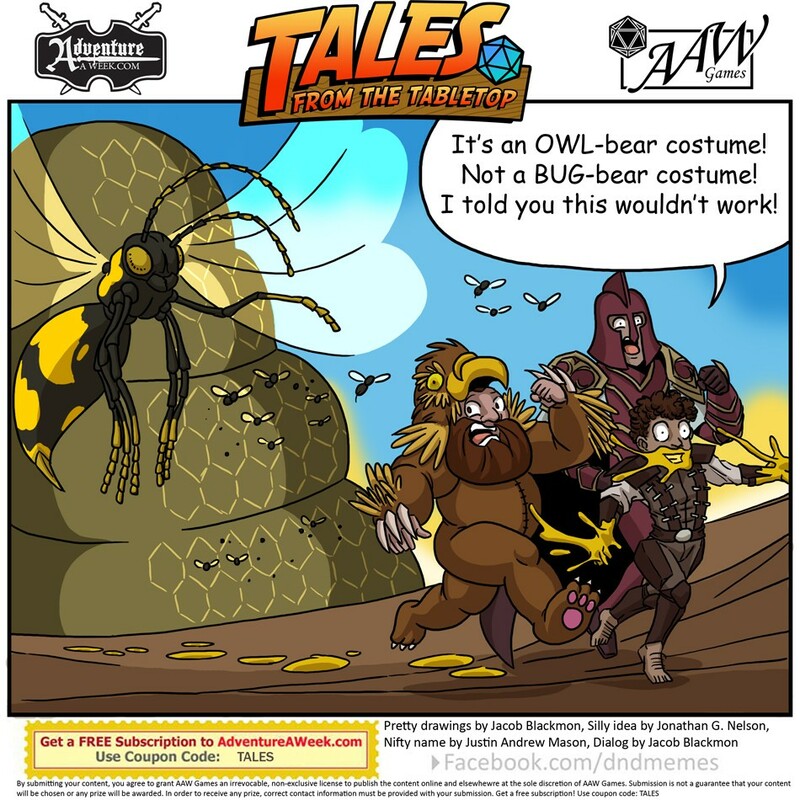 Or, check out Tales from the Tabletop™ #44 here! Or, check out Tales from the Tabletop™ #43 here! Or, check out Tales from the Tabletop™ #42 here! Or, check out Tales from the Tabletop™ #41 here! The Snow White mega-adventure is currently on sale. Or, check out Tales from the Tabletop™ #40 here! Or, check out Tales from the Tabletop™ #39 here! Or, check out Tales from the Tabletop™ #38 here!